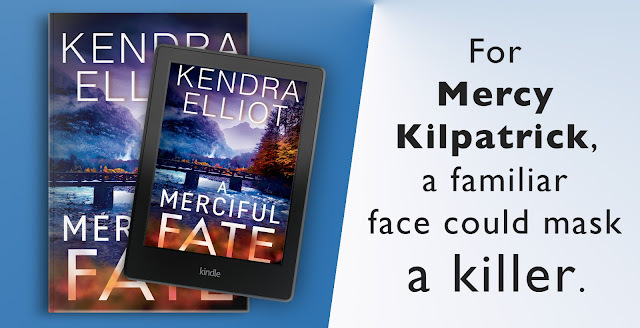 Mercy Kilpatrick is back in action! 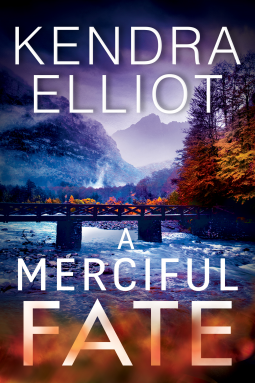 The fifth novel of the series, A Merciful Fate, takes a new turn as a 30-year-old unsolved bank robbery is once again under investigation. 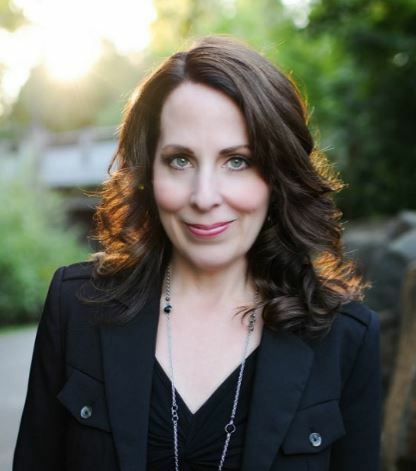 Kendra Elliot shakes up the small town of Eagles Nest with surprises ranging from good to shocking. Two cases of vandalism and a skeleton discovered in an abandoned cabin set up the mysteries of this story. Throughout the story I had to reset what I assumed with each new fact presented. Not knowing whether the cases were related, and if they were, how, was what kept me reading long into the night. It was like the answers were within my grasp, but then something either diverted my attention or caused me to second-guess myself. I loved it! After five novels in this series, Mercy has finally made a place for herself in the place she grew up. Her relationship with her father is still rocky, but there's still time for mending. A wedding is in the horizon and Mercy and Truman are stronger than ever. I'm enjoying learning about the new addition to the cast, Ollie. His character has been like a breath of fresh air and I loved that he's played an essential role in both A Merciful Silence and A Merciful Fate after coming seemingly out of nowhere. Next in the series is A Merciful Promise. I can't wait to see what's next for the residents of Eagle's Nest. The series up to this point has been intriguing and the perfect balance of suspense and romance.